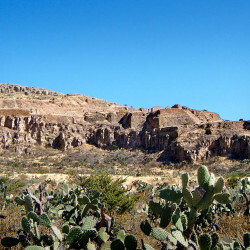 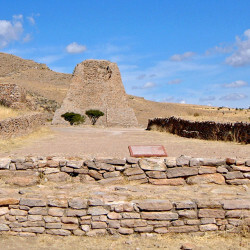 La Quemada is also known as Chicomóztoc thanks to its association with the Aztec origination myth. 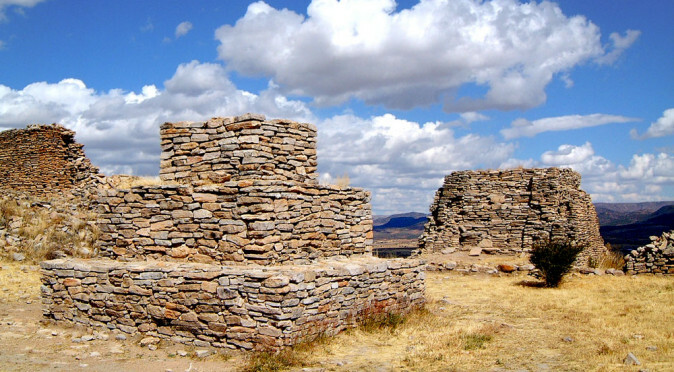 This remarkable city dominates a seemingly impossible location, halfway up a craggy hill situated at the heart of the remote and inhospitably desolate plains found on the northern frontier of Mesoamerica. 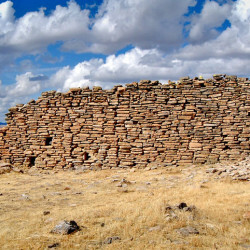 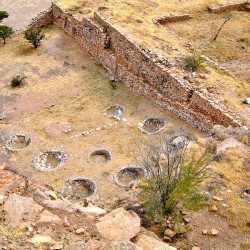 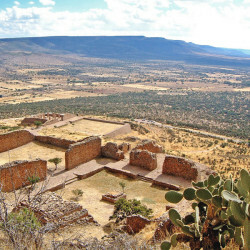 La Quemada’s location and environment led many to believe it operated as a trading outpost and frontier fortress built to trade with, and defend against, the peoples of south-west North America. 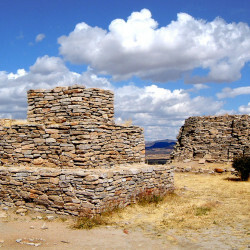 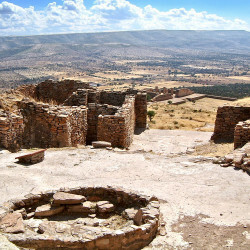 La Quemada, meaning “The Burned”, was given its name after early investigations revealed many of the buildings had been burned down. 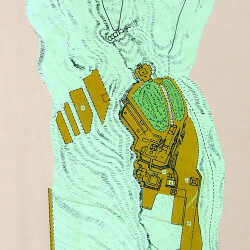 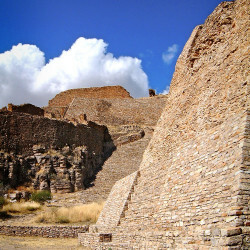 This, coupled with the city’s defensive northern walls and domineering platforms, further supported he idea that the city had been built by a civilisation from the Mesoamerican heartland far to the south to control this territory and its trade, and that it had been destroyed by the marauders it had been built to defend against. 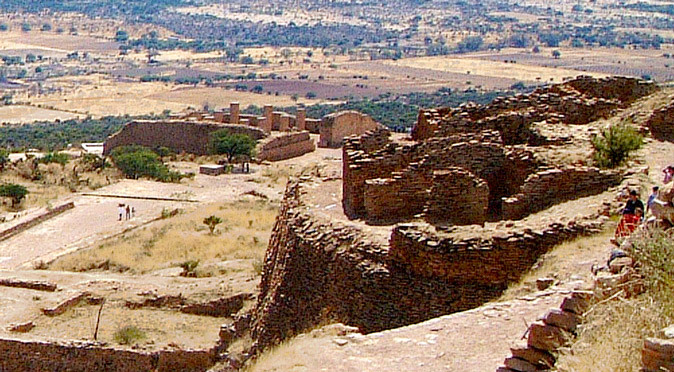 The only problem that remained, was who had built this incredible city? 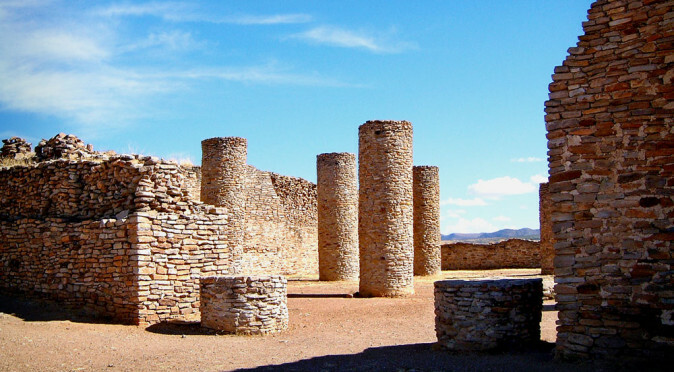 Recent archaeological investigations have only deepened the mystery, with radiocarbon dating demonstrating that La Quemada was actually a forerunner in building such incredible structures and had little external influence from the major civilisation of the south. 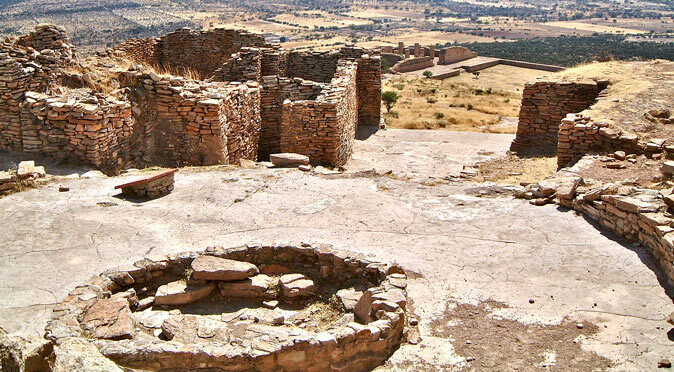 The mystery of who the builders were is yet to be decided – and the whimsical 18th century idea that La Quemada is the fabled birthplace of the Aztecs is becoming increasingly plausible. 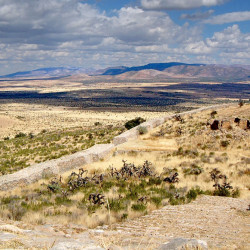 The highlights of La Quemada begin with its dramatic remote location, which adds an air of adventure amidst the wilderness. 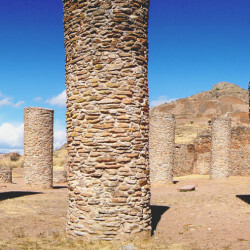 The first building you encounter is the iconic Hall of Columns, which was one of the most gargantuan buildings ever erected in Mesoamerica. 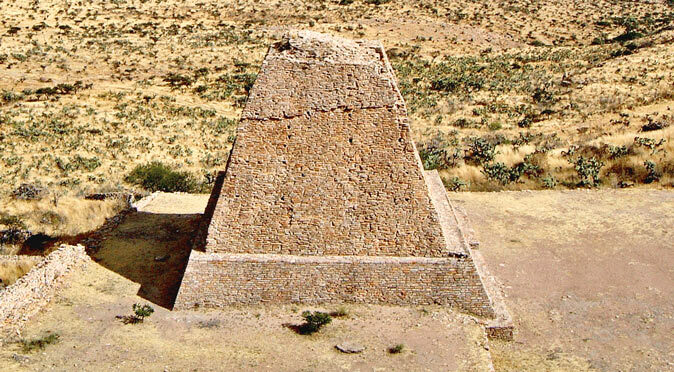 From there, you walk along the processional causeway, through the Ball-Court, and on towards the mysterious, non-stepped, Votive Pyramid – a unique masterpiece that exudes elegance. 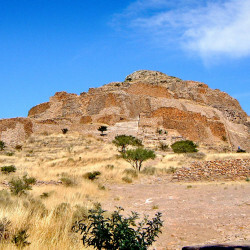 To the left of the pyramid is a set of incredibly steep stairs which take you to the Cuartel, the hub of La Quemada’s daily life. 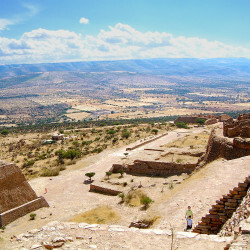 You then continue to negotiate your way along precarious terraces and perilous stairways, around the hill and up the hill through five tiers of architectural brilliance, much of which was designed to work as a magnificent timepiece that enabled religious dignitaries to track the solar and cosmological events. 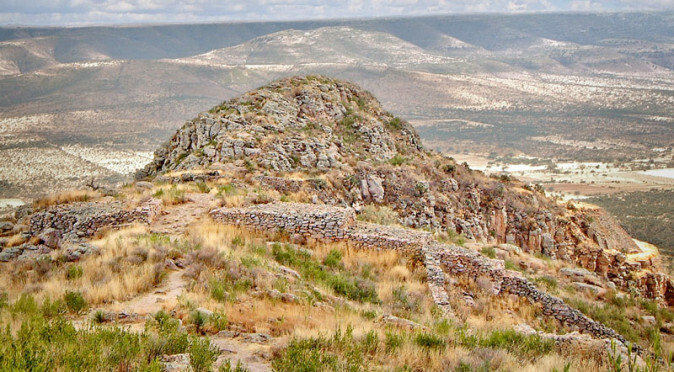 La Quemada is undoubtedly a spectacle that is well worth the lengthy travel getting there to explore. 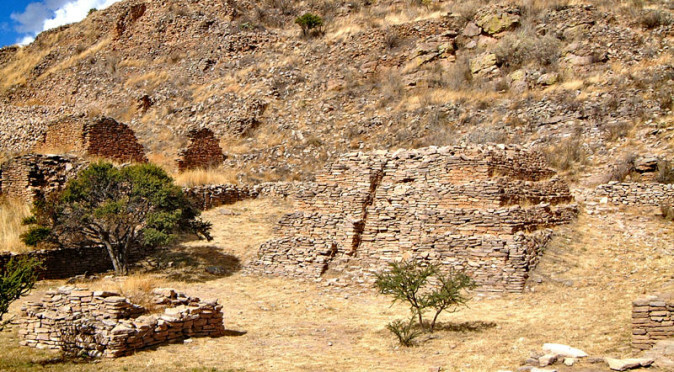 The history of La Quemada is both mysterious and perplexing, and recent discoveries which push its founding back to the 4th century have only added to this mystique. 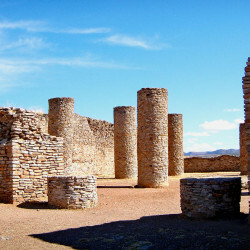 The Hall of Columns is the most iconic of all La Quemada's buildings, but the cavernous design and lack of windows suggests it had a sinister purpose. 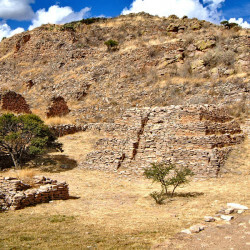 The Ball Court at La Quemada is one of the few typically Mesoamerican features that is found at the site, although there are still some anomalies which raise questions. 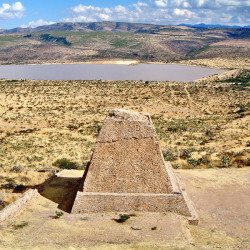 The Votive Pyramid dominates La Quemada's ceremonial centre. 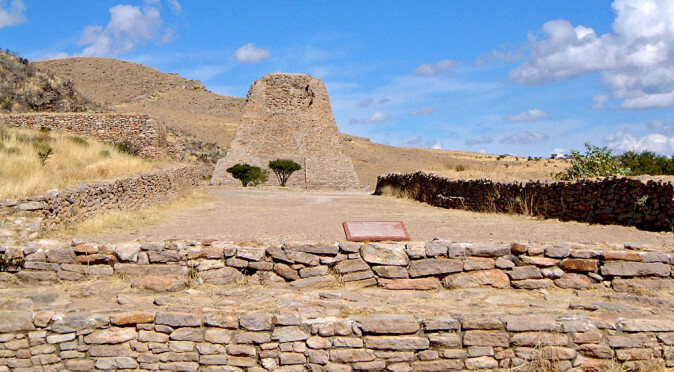 It's unusual design raised serious questions about how and why it was built. 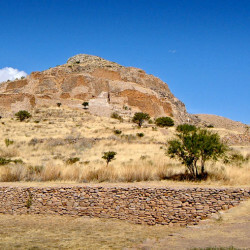 The Cuartel was formally thought to be a barracks for the fortress city, but evidence now suggests it was a religious complex, with a shrine and celestial observatory. 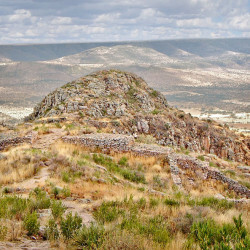 The Conjunto Pirámide-Osario includes the Patio Circular, a small sacrificial pyramid and a graveyard, and is part of a large religious complex that includes the Cuartel. 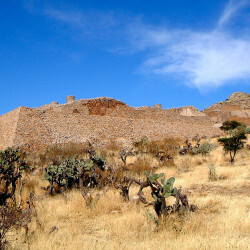 La Ciudadela takes its name from its strategic and easily defensible location right at the top of the La Quemada complex, however it function was clearly religious. 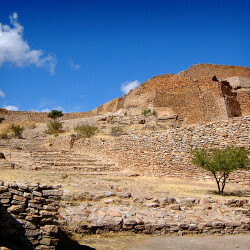 La Quemada's third level features an enormous terrace on which they built a large ceremonial complex that appears to have been dedicated to human sacrifice. 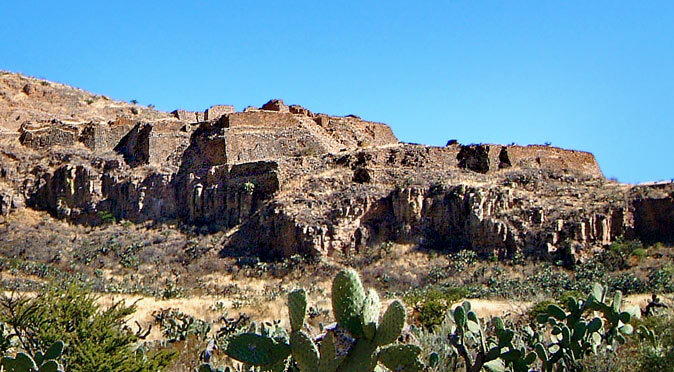 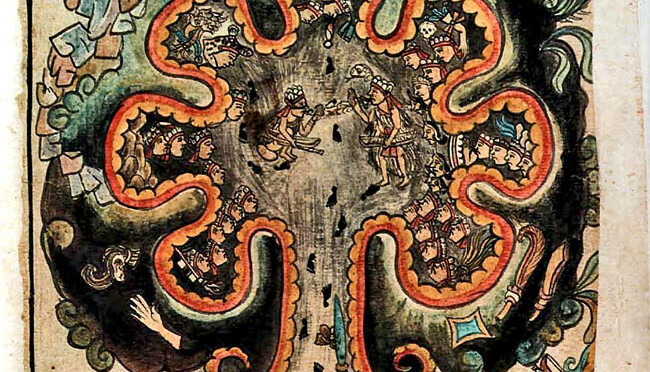 Chicomoztoc is the fabled birthplace of the Seven Tribes of Mexico, a legend predominantly passed down from the Aztec that demonstrates they were related to their rivals of Central Mexico.